" Rainbow Springs State Park "
Archaeological evidence indicates that people have been using this spring for nearly 10,000 years. Rainbow Springs is Florida's fourth largest spring and, from the 1930s through the 1970s, was the site of a popular, privately-owned attraction. 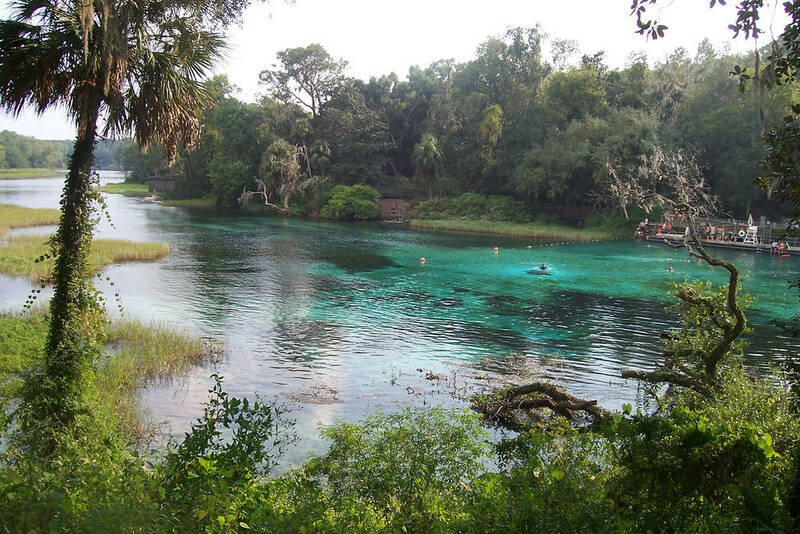 The Rainbow River is popular for swimming, snorkeling, canoeing, and kayaking. Canoes and kayaks can be rented at the headsprings. A picnic area at the spring includes tables, grills, and pavilions. For large gatherings, private pavilions can be reserved. Tubing is not allowed in the headsprings area of the park. Other restrictions apply to use of the headsprings such as swimming is only allowed in designated areas, no scuba gear, motors on watercraft, etc. Please call ahead to inquire about restrictions. Tubers can launch at the Tube Entrance on SW 180th Avenue Road. The Campground Entrance with a full-facility campground is about nine miles from the day use area. The Headsprings Entrance is located three miles north of Dunnellon on the east side of U.S. 41. The campground is located on S.W. 180th Avenue Road about two miles north of County Road 484 and two miles south of State Road 40. The Tube Entrance is located 1.4 miles south of the campground Entrance on SW 180th Avenue Road. Rainbow Springs State Park is always excited to welcome guests and supporters to come out and enjoy the environmental, historical and recreational value we have to offer. 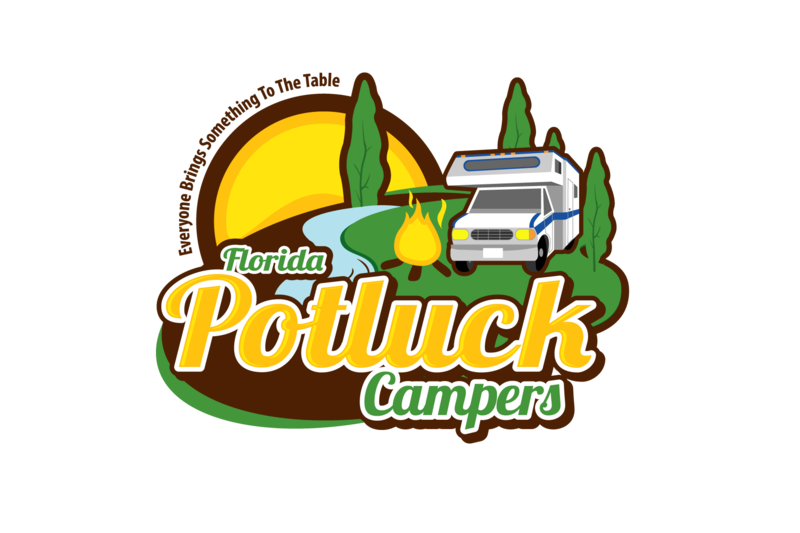 With this being said, please remember if you are planning a trip to Rainbow Springs (headsprings: 19158 SW 81st PL Rd or tubing: 10830 SW 180th Ave Rd) to arrive early. The gates at the headsprings open at 8:00 a.m., 365 days a year. The gates at the tubing facility open at 8 a.m. on weekends only starting the first Saturday of April until Memorial Day weekend. From Memorial Day until Labor Day the facilities are open seven days a week. After Labor Day weekend, the facilities remain open on weekends only through September. Tubing is closed October through March. Due to heavy popularity the park often reaches capacity on weekends and holidays by 10:00 am. We will close for entry until space for new guests has been made. Unfortunately, all guests who arrive after the park has reached capacity will be turned away and asked to return at a later time. This includes guests who are cyclists, pedestrians, and individuals affiliated with large parties that have already entered the park. We appreciate your patience and look forward to your visit. First time visiting the state park for a campaign weekend, I was so pleasantly surprised by how well kept the campground was. Paved spot was a plus for us and full hookups make my life easier. The facilities were clean (bathrooms and playground) pools were closed, I think they have been for a while. The river edge has a beach were my boys went swimming. Also be aure to visit the springshead park a few miles away is worth the drive.